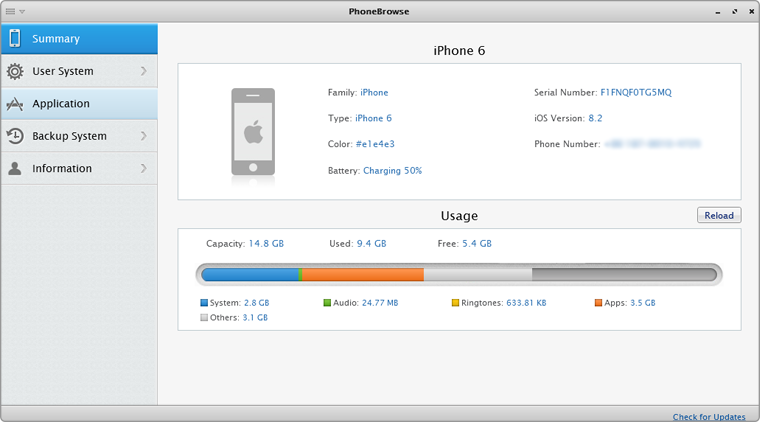 PhoneBrowse is 100% free iPhone browser software, which allows you to use iDevices as USB flash drive. 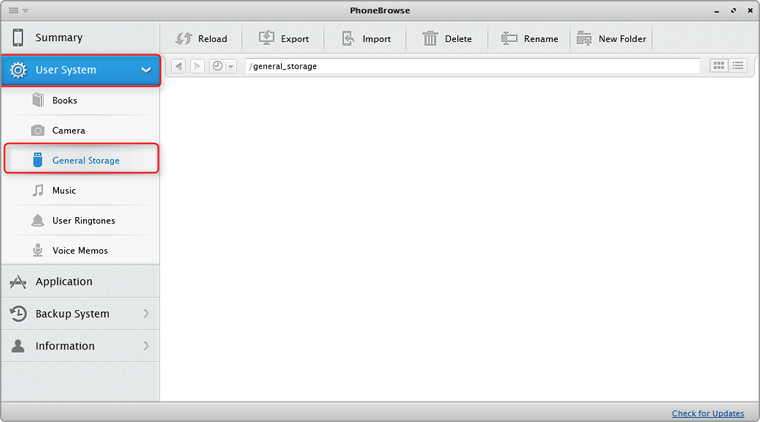 Step 1: Please open PhoneBrowse after connecting your device to computer, and then you will see the main interface of PhoneBrowse. Step 2: Please click User System and select General Storage. Next, you can use iDevice as USB flash drive.